I hope everybody is well rested along with safe travel home and continuing your service to the Lord. I thank you for the time you spent with me in Panama in His service and hope you are planning for next year. Let me tell you how grateful I am that I was able to work with so many great Christians. 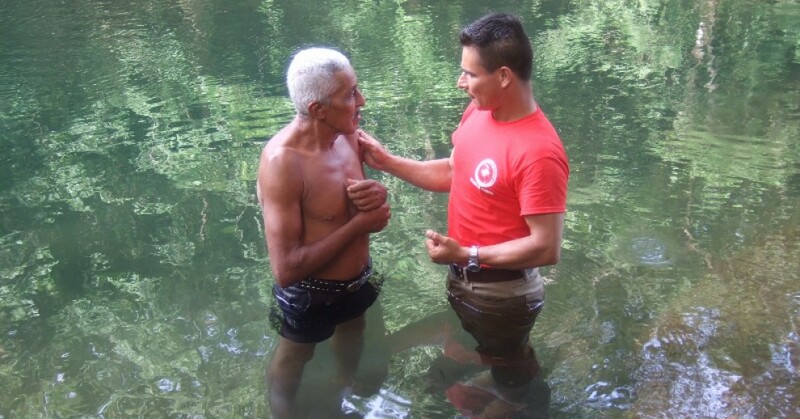 Your care for the brethren in Gualaca, spiritually and physically, is clearly shown in your actions. Even when we were tired and HOT that did not stop your focus on the lost of Gualaca and treating the body and soul. Because of your labor and God giving the increase, there are now four new Christians in the Lord’s kingdom and a new congregation of the Lord’s church. Remember that we planted the Seed, watered it while we were there and God will give the increase. How many of these people will want to know more about WHY we were there and thereby obey the gospel is the answer and the reason for our doing what we did? I hope we will all rejoice and give God the glory for the work that was accomplished in Gulaca. We need to keep these new Christians in our prayers that they will continue to grow; also remember Elio as he and the congregation continues to teach them God’s Word. Also, to support this new work Elio is in need of $500 per month to rent a small house and pay for utilities. If you have any questions of if I can help in any way, please let me know. I look forward to working with you again! 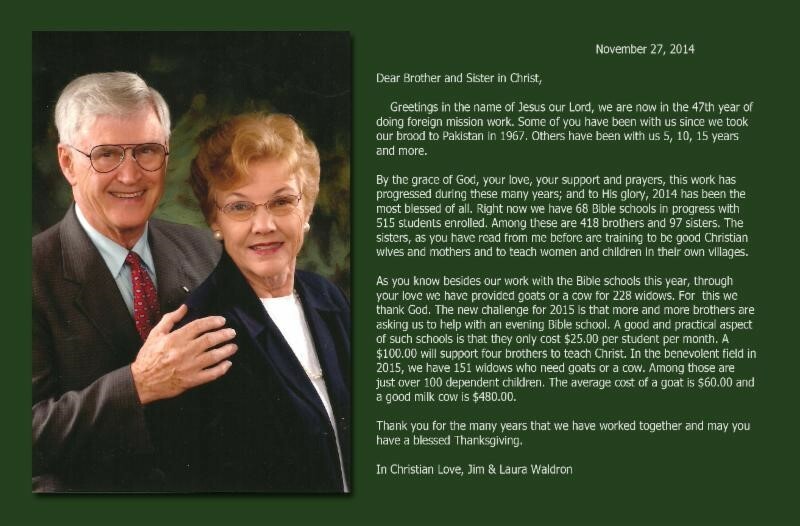 Brother Raymond Sieg reports that his congregation is close to leasing a property in South Daytona, FL. The city council will meet on January 15th to vote on granting them a variance. Please pray that the council votes in their favor. Also, brother Sieg recently had hip surgery in October, and is recovering well. Robert Hall is stepping down from his position as fund raiser, citing chronic issues with Celiac Disease. However, he will still be part of the team, providing support in other roles. He states that he’s been almost constantly sick for over 2 years because of ‘cross-contamination’ with foods rich in gluten. Brother Hall will be returning to his former position as preacher for the Tanner Church of Christ. As 2014 opens, through God’s grace, and by your gifts and those of others like you, we have 47 Bible Training Schools being conducted in 5 states of India, with 362 men training to preach Christ. There are also 84 young women training to be good Christian wives and mothers. Also, in the last three months of 2013, we were able to buy goats and cows for 106 widows with 87 fatherless children under 18. This Sunday night after we worship God, our three short-term missionaries, Bridget Cook, Thomas Mitchell and Suzanne Loving, will have displays set up in the lobby and will be available to share their stories and answer questions about their mission trips. Please make plans to come and and see how your support has resulted in the gospel being spread in Panama, Ghana, and Romania!